Today, we conclude our series on Indian startups vying to secure a semi-finalist spot at The Wall Street Journal's WSJDLive conference to be held on October 19-21 in Laguna Beach, California. However, subscriber and readers of VCCircle/Techcircle.in will continue to get a ringside view of the build-up to the three-day summit along with in-depth analysis of the eight startups that eventually make it to the semi-finals. The eight semi-finalists will have the opportunity to attend the three-day WSJDLive meet and present their companies to an audience that will include Marc Benioff of Salesforce, Virginia Rometty of IBM, Bin Lin of Xiaomi, NSA chief admiral Michael Rogers, Tyra Banks of Fierce Capital, Kazuo Hirai of Sony, Elizabeth Holmes of Theranos, Stewart Butterfield of Slack, Robin Li of Baidu, Sergio Marchionne of Fiat Chrysler Automobiles NV, Richard Plepler of HBO and investor Yuri Milner of DST Global. Readers of VCCircle.com and Techcircle.in got a deeper look at five of the six WSJDLive aspirants from India with WeMultiFun Co, declining to be profiled. The semi-finalists will be formally announced soon. We started the profiling the aspirants on August 24 with Guiddoo, a video-based app alternative to static tourist guides. On September 7, we published a piece on Parentune, a tech startup that aims to be the final word on everything related to parenting. Two weeks back, we wrote about Cxex.org, a community-driven comparison platform for e-shoppers. Stockal, a social media and sentiment-based search engine for stocks listed in the US, was profiled on Monday. Today, we conclude the series by profiling 'How India Lives'. You perhaps didn't know that the north-eastern Indian state of Manipur has the maximum number of radio/transistor owners in the country per-household. Or that Bihar tops the list of states with self-owned houses. Turns out some 54 per cent of Manipur residents own radio sets, well above the next state, Jammu and Kashmir's 45 per cent. These statistics, along with supporting graphics, were generated by How India Lives, a search and analysis engine for publicly available but hard-to-access data about Indians. 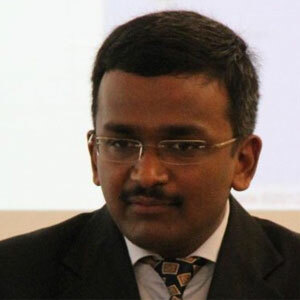 Founded by John Samuel Raja D, a former business journalist, the two-year-old project aims to become the preferred platform for India-specific business intelligence. In other words, How India Lives (run by Joe Data Services Pvt Ltd) filters, matches and analyses data from various public and private sector sources and make it relatively easy to see and present such data in the form of maps and graphics. Raja has first-hand experience of poring over massive volume of data, thanks to the 11 years he spent with The Economic Times, Outlook Business, Business Standard and Mint. "Although a lot of data is there in the public domain, it is inaccessible on many counts. Data resides in different places, and it has to be found, fetched and cleaned. And it is unidirectional—one set of data does not talk to another set," noted the 37-year-old Raja, an economist by training. A simple example is the number of total districts in India. Different government agencies seem to give out different numbers and different spellings for the same district, Raja observed. "While there are several official sources for India-specific data (Census, Reserve Bank of India, Ministry of Statistics and other ministries), we sometimes find lack of consistency across different sources. The average user needs assistance in deciphering what numbers mean to him/her and how it affects his/her day-to-day lives," he said. Census data is pivotal to what Raja's startup does. This data is presented across 35 states, 640 districts, 5,924 sub-districts and 641,000 villages. The 10-member team at How India Works does ground-level legwork and technology-backed manual research for removing discrepancies in data. The startup runs all its data-sets through four steps: data handling, data cleaning, coding and visualisation. "We use a mix of coding and research during data handling. A lot of data can be corrected using coding, but for ones which don't, such as the lack of consensus over a district's name, we have to resort to pure (manual) research and ground work," said Raja. Although most of its data is sourced from government agencies, the startup also relies on statistics generated by private sector entities, including some consumer internet firms. For example, food ordering apps, such as Zomato, can throw light on people's culinary tastes while BookMyShow.com can capture diversity by indicating a user's movie preferences and StayZilla.com can offer insights on cities that are most sought by budget travellers. How India Lives recently authored a news story for Mint based on statistics from match-making portal Bharat Matrimony. The data showed the percentage of people who did not specify caste as a filter for matrimonial search. This was then used as an indicator of the "progressiveness" of a city. "It's not a perfect method as not everyone uses Bharat Matrimony to find a life partner. However, this can be a useful parameter to judge the progressiveness of a city," claimed Raja. Raja noted that one-third of How India Lives' current web traffic comes from foreign countries, a potentially strong indicator of global interest in India. One-fifth of all visitors come from the US. Around one-third of the traffic comes from the startup's mobile platform, though the nature of data housed at How India Lives is such that people might prefer to use their computers to examine the data. According to the startup, consumer-products companies, academic researchers, students, think tanks and media outlets—which are numbered around 3,000—are its primary users for now. "Whether you are a company executive planning regional expansion or a government policymaker figuring out the geographical targeting of a new welfare scheme, How India Lives is relevant for you," said Raja. I don't think we have reached a point where we are 'ticking'. But we have two good things going for us that can lead us to that 'ticking' point quickly. The first is a 10-member team that is talented and diverse. We understand public data very well. We have worked with the same technology vendor all along and now he is our partner. The latest addition is a person with a track record in building businesses at the highest level. The second factor is that we have a functional product. Our beta version was launched in May and we are currently working on the second iteration. The foundation has been laid and it's now more a matter of building on it. We have the pieces in place. If we don't build something substantial from here on, the fault will be entirely ours. Quite hopeful; it would be a dream come true. Our key differentiator is that we make data talk to each other with the help of visuals. We improve efficiency by making public data more accessible. It would be a great opportunity to make our product reach newer audiences, make connections and take it forward. We have a diverse and global user base. Getting exhibited on such a large platform will help How India Lives grow faster. How India Lives, which is largely a free-to-use web site, hopes to earn revenue through subscription and consultancy services. The editorial service it renders to Mint and other media firms generate some revenue. The startup also has recruitment portal Shine.com, part of HT Media group that owns Mint, and Centre for Policy Research as paying customers with monthly or annual deals. 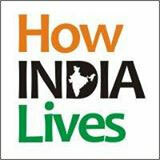 How India Lives claims it covers 2,258 variables, 716,127 geographies and 95 million data points. Starting November, the site will offer a premium version with twice as many variables and data points. The site plans to include public data on macro-economic trends, public finance and market statistics from more government agencies. However, it does not intend to track corporate data such as mergers and acquisitions or funding, a space that has several players including VCCEdge from the parent of this website. How India Lives has been operating with grant money and partner capital. On top of Raja and other co-founders' own money, an initial $1,700 came in for prototype development from Lawrence N. Field Center for Entrepreneurship in Baruch College, New York. Raja, a Tow-Knight Fellow in the entrepreneurial journalism program at New York's City University, was also awarded $16,000 in grant from the foundation. Some outsiders see potential in How India Lives as a comprehensive online resource if it adds more comparison parameters. "It's a great business model, which is also user-friendly. It has super visuals to support the data. Its data works better than searching at multiple locations," said Hemendra Mathur, managing director of SEAF India Investment Advisors, a private equity fund with $75 million assets under management. He reviewed the site at the request of Techcircle.in. "If it can also access and add medical data that would be like the cherry on the cake," said Mathur who is not involved with the business. Angel investor Kunal Nandwani, who is also CEO and founder of fin-tech startup uTrade Solutions, said How India Lives could facilitate crowdsourcing of data to push growth but notes potential pitfalls in their current model. "The scale may become exponential if users can also contribute back to the data in terms of what's relevant, what's needed and maybe even provide the data (a bit like Wikipedia)," he said, adding, "Selling standalone data is a hard business. Its consulting piece will only do as well as the teams' ability to sell." Like Mathur, Nandwani has, until now, not considered How India Lives from an investment standpoint. The startup competes with the likes of IndiaStat.com, TradingEconomics.com and Yahoo Sandbox Datasets (Webscope). Raja cites his company's ability to make disparate data talk to each other as its biggest differentiator. "The 2011 Census, with its multidimensional rows, has a mind boggling number of cells. How India Lives has made those cells searchable and comparable to other cells. We bring together disparate, demographic and non-demographic data and makes it talk to each other," Raja pointed out. How India Lives intends to have its own team of data collectors to try weed out inefficiencies in original data collection. These primary collectors can also be hired by companies that wish to garner more insights on public data, Raja said. After on-boarding a sizable number of users, the startup is planning to launch a news portal that will be backed by its data. The startup's staff is mostly ex-journalists including Avinash Singh, Avinash Celestine, Ramnath NS and Anand Krishnamoorthy. Vinayak Joshi, an alumnus of IIM Bangalore and founder of web applications startup, LearningConcepts, is an equity partner and provides technology services to the company.